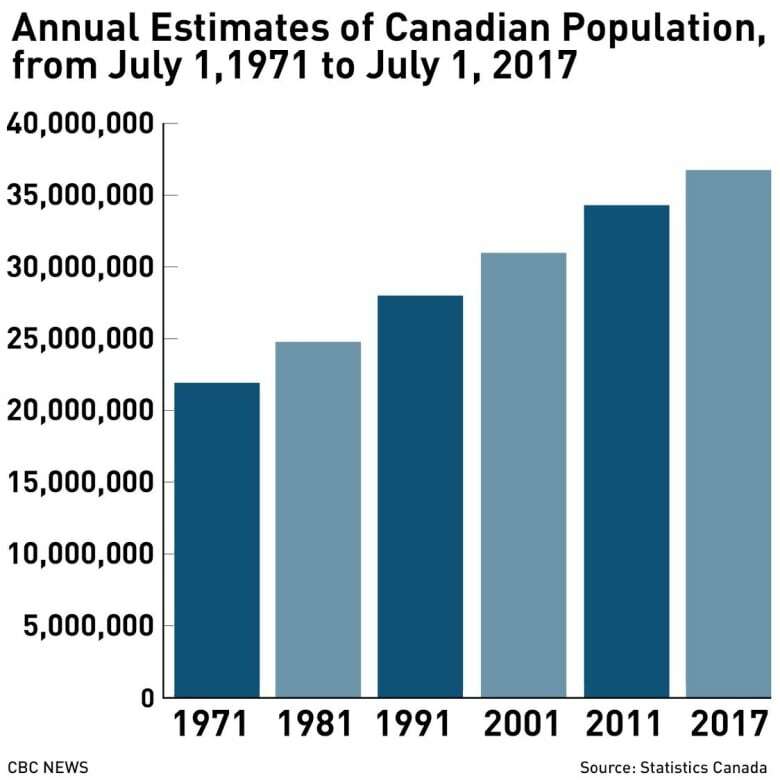 Canada's population has topped 37 million, according to new data released this morning by Statistics Canada, and is growing faster than it ever has before. It took just two years and two months to add one million more people to the national population, which stood at 37,067,011 as of April 1. That's the shortest period on record for an increase of such magnitude. 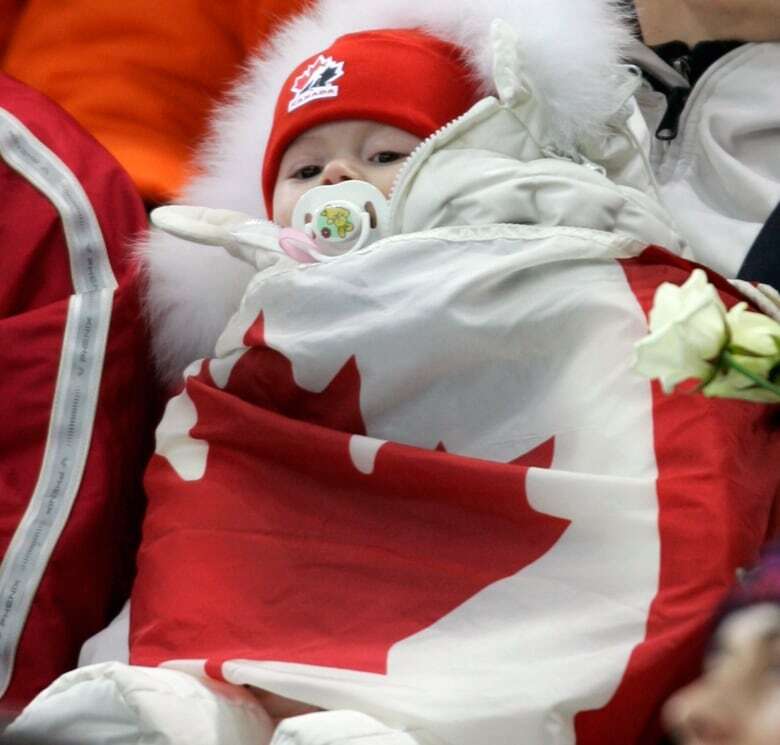 Canada logged 93,944 births in the first three months of 2018. (Mike Blake/Reuters)By comparison, it took 17 years — from 1867 to 1884 — for Canada to add its first post-Confederation million, growing from 3.46 million to 4.48 million people. Then it took 20 more years to add the next million. Canada's population didn't hit double-digit millions until 1929. By the end of the Second World War in 1945, the country was home to just 12 million people. The Centennial year, 1967, was when the population surpassed 20 million. In its first 50 years as an independent country, Canada added 4.6 million people. Then 14 million more over the next half-century. And now an additional 17 million people over the past 51 years. Canada's recent growth has everything to do with immigration. 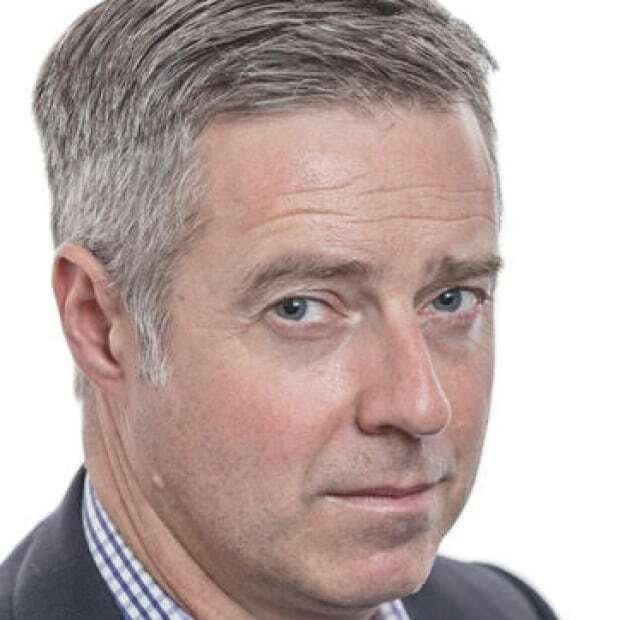 In the first quarter of this year alone, new migrants and non-permanent residents accounted for 85 per cent of the population increase — 88,120 out of the 103,157 additions. Which is all the more striking, given that Canada logged 93,944 births and a record number of deaths — 78,907 — in the first three months of 2018. Most of the new arrivals are moving to big cities, accounting for 78 per cent of the total population growth. As of last July, seven in 10 Canadians — some 25.9 million people — were living in what StatsCan calls a "census metropolitan area," and 35 per cent of all Canadians lived in the greater Toronto, Montreal and Vancouver regions. But even by that measure, Canada's population remains concentrated in the centre of the country, with Ontario and Quebec having a total of 22.6 million residents. In fact, Ontario's 2017 population of 14,193,384 was greater than the combined population of all four Atlantic provinces and all four Western provinces. 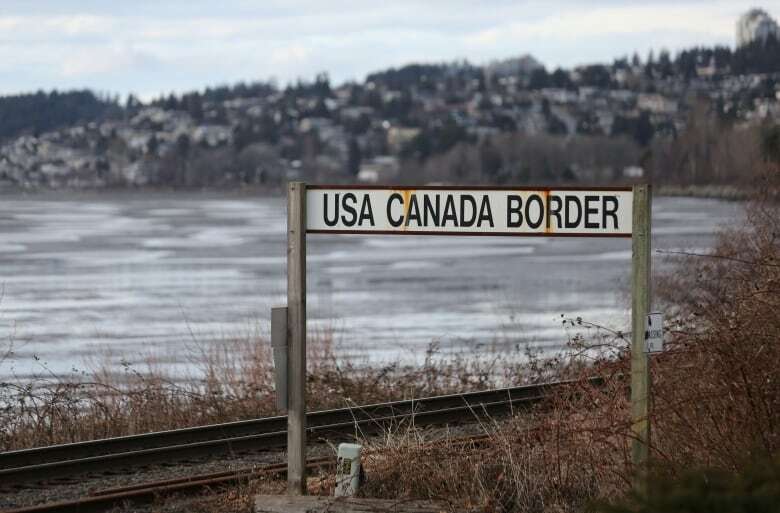 A sign marking the Canada-United States border is seen on railway tracks leading to Surrey, B.C. The U.S. has a growth rate of 0.71 per cent, more than double Canada's 0.3 per cent for the first quarter of 2018. (Chris Helgren/Reuters)The only province to see its population decline in the first months of 2018 was Newfoundland and Labrador. In terms of world population, Canada now ranks 38th out of 233 nations, just behind Iraq and Poland, and just ahead of Afghanistan and Morocco. China with 1.4 billion people, continues to top the list, followed by India's 1.3 billion residents. The United States, which ranks No. 3 with 327 million people, added 2.3 million new residents in 2017 alone. It has a growth rate of 0.71 per cent, more than double Canada's 0.3 per cent for the first quarter of 2018. New York State's attorney general has filed suit against the President of the United States, alleging that his non-profit Donald J. Trump Foundation was operated more like a slush fund than a charity. The court action, filed this morning, seeks to dissolve the foundation — established in 1987 to supposedly share the profits from his best-selling book The Art of the Deal — and redistribute its remaining $1 million US in assets to other recognized charities. In addition, New York is asking that Trump pay $2.8 million in penalties and be barred from operating another non-profit for a decade. 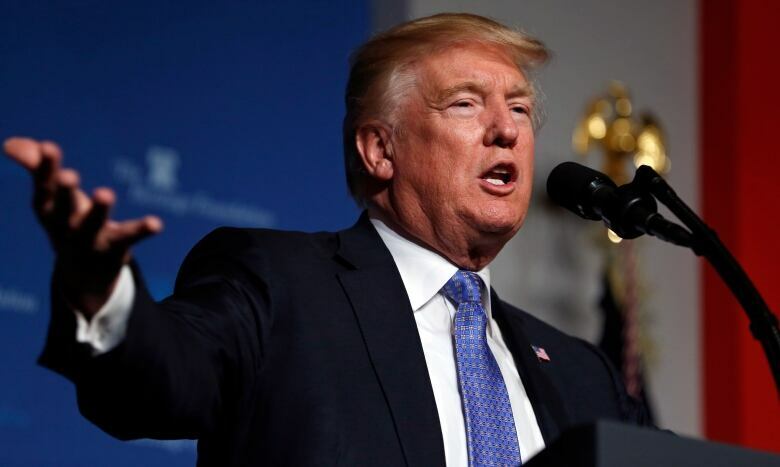 New York State's attorney general has filed suit against Donald Trump, seeking to dissolve the foundation and redistribute its remaining $1 million US in assets to other recognized charities. (Martin H. Simon/Getty Images)"As our investigation reveals, the Trump Foundation was little more than a cheque book for payments from Mr. Trump or his businesses to nonprofits, regardless of their purpose of legality," Attorney General Barbara Underwood told reporters. "This is not how private foundations should function." The suit alleges a clear pattern of Trump using other people's donations to pay his own bills. This includes a $100,000 legal settlement for his Mar-a-Lago resort in Florida, and the $10,000 purchase of a giant portrait of him that ended up hanging in the restaurant at one of his golf clubs. Much of the information that underpins the lawsuit had been previously uncovered by Washington Post reporter David Fahrenthold, who won a 2017 Pulitzer Prize for "casting doubt on Donald Trump's assertions of generosity toward charities." As Fahrenthold reported, Trump himself did not give any money to his foundation between 2008 and 2015. The largest donors were pro-wrestling's first family, Vince and Linda McMahon, who contributed $5 million over a two-year period. Linda McMahon is now a member of Trump's cabinet, heading the Small Business Administration. 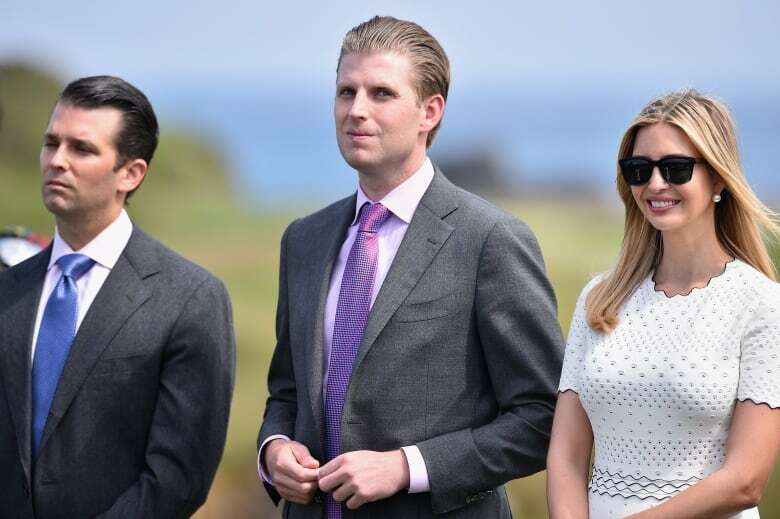 The president's three eldest children, Donald Trump Jr., Ivanka Trump and Eric Trump, who serve on the board of the foundation, were also named in the lawsuit. According to the filing, the foundation has no employees and its board has not met since 1999. The Trump Foundation issued a statement denouncing the lawsuit, and calling it politically motivated. It's a theme the president took up in his favourite forum, Twitter, making reference to Underwood's recently disgraced predecessor as state attorney general. However, Trump was surely more pleased with the other news of the day — a report from a U.S. Justice Department watchdog that concluded that former FBI Director James Comey has mishandled the Hillary Clinton email investigation, albeit not out of "political bias." "By departing so clearly and dramatically from FBI and department norms, the decisions negatively impacted the perception of the FBI and the department as fair administrators of justice," say the report's conclusions, according to a report by Bloomberg news, which obtained an advance copy. Trump has said that Comey's mishandling of the Clinton investigation was one of the reasons that he fired him. Today is the president's 72nd birthday. A pitched battle for the Red Sea port of Hodeidah is underway, as the Saudi-led coalition tries to oust rebel forces and strike a decisive blow in Yemen's three-year-long civil war. The attack began yesterday morning, with a fierce aerial and sea bombardment, as soldiers from the United Arab Emirates, Sudan and the deposed Yemeni government massed on the edge of the city of 600,000. This morning, a state-run news service reported the capture of the town of Nakhila, about 20 kilometres outside of the centre of the city near the international airport, amid heavy fighting and continuing airstrikes. Yemeni pro-government forces flash the victory gesture as they arrive in al-Durayhimi district on Wednesday. Yemeni forces backed by the Saudi-led coalition have launched an offensive to retake the rebel-held Red Sea port city of Hodeida, which is the entry point for 70 per cent of the impoverished country's imports. 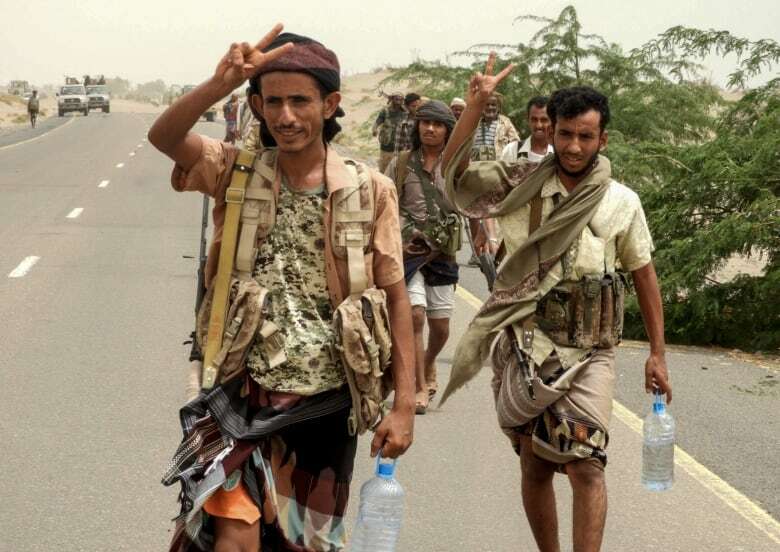 (Nabil Hassan/AFP/Getty Images)The coalition is predicting that the offensive — code named Operation Golden Victory — will be completed within a week, depriving the Iranian-backed Houthi forces that now control the Western third of the country of a key entry point for arms and supplies. Hodeidah has been one of their strongholds since 2015. But aid groups are warning that any sustained disruption of the port, which handles 80 per cent of all aid coming into the war-ravaged country, will provoke a humanitarian disaster. More than 8 million people in Yemen are already a "step away from famine," the UN warned earlier this year. Yemenis inspect the damage caused by a Saudi-led air strike on a cholera treatment centre supported by Doctors Without Borders (MSF) in the Abs region of Yemen on Monday. 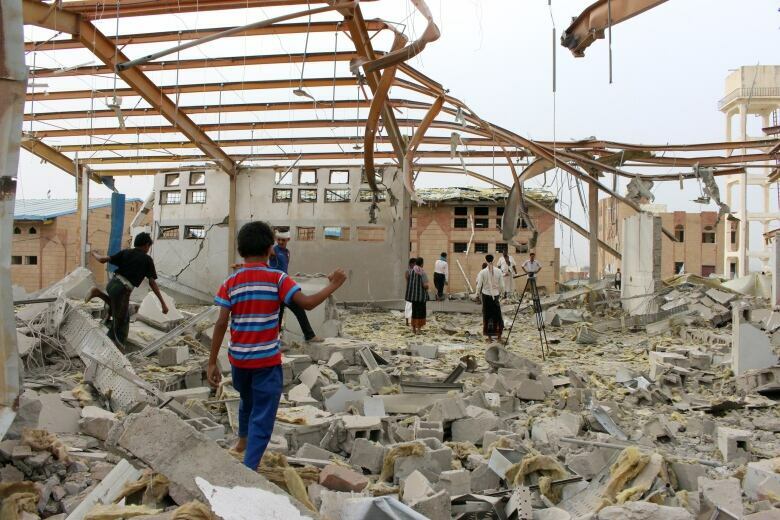 MSF said it has temporarily frozen operations in the rebel-held area of northwestern Yemen following the air strike which caused no casualties. (Essa Ahmed/AFP/Getty Images)"The attack on Hodeidah as the main point of entry for aid in Yemen will multiply horror and death in Yemen," Jolien Veldwijk, CARE International's acting director for the country, said yesterday. "We urge all parties to refrain from any further military activities in and around Hodeidah city and the port. People are already exhausted, starving, and have no means to cope with any further escalation of war." The new military offensive marks yet another failure for diplomacy in the conflict. The United Nations, U.K. and U.S. had spent weeks trying to persuade the Saudis and UAE to delay the operation amid relaunched efforts to forge a negotiated peace. But the Americans, at least, don't seem that fussed. 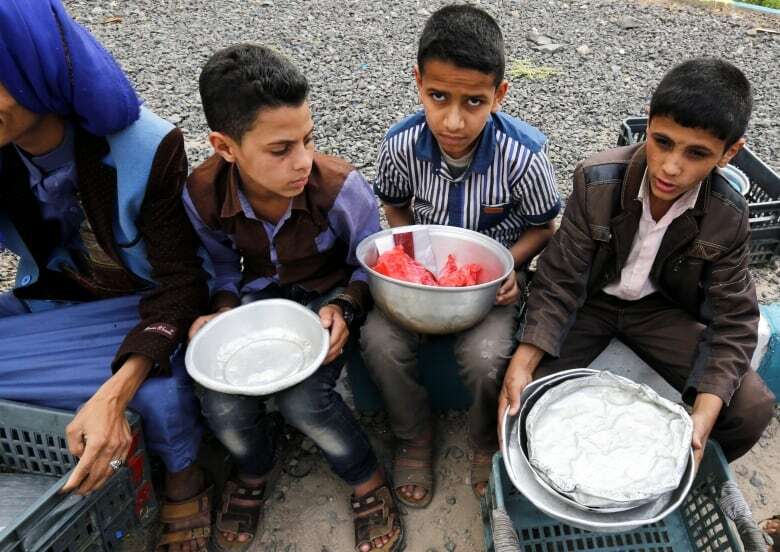 Yemeni children hold empty plates as they wait to receive a meal at an orphanage in Sana'a, Yemen, on Wednesday. The escalating conflict in Yemen since 2015 has plunged the poorest Arab country into a humanitarian crisis. (Yahya Arhab/EPA-EFE)On Monday night, U.S. Secretary of State Mike Pompeo issued a press statement that appeared to give at least tacit approval for the coalition to move ahead and "address their security concerns" while "preserving" the flow of aid. And the Wall St. Journal reports that the U.S. military is actively helping the UAE and Saudis draw up a list of "off-limits" airstrike targets, with the purported goals of reducing civilian casualties and damage to infrastructure. Today, the UN Security Council will hold an emergency, closed-door meeting to discuss the crisis, amid calls from Russia and EU nations for a joint statement condemning the offensive. More than 10,000 people have been killed and 2 million displaced in the grinding conflict. "It was smoking for a long while. It was like a dead body consuming itself and burning down to death." 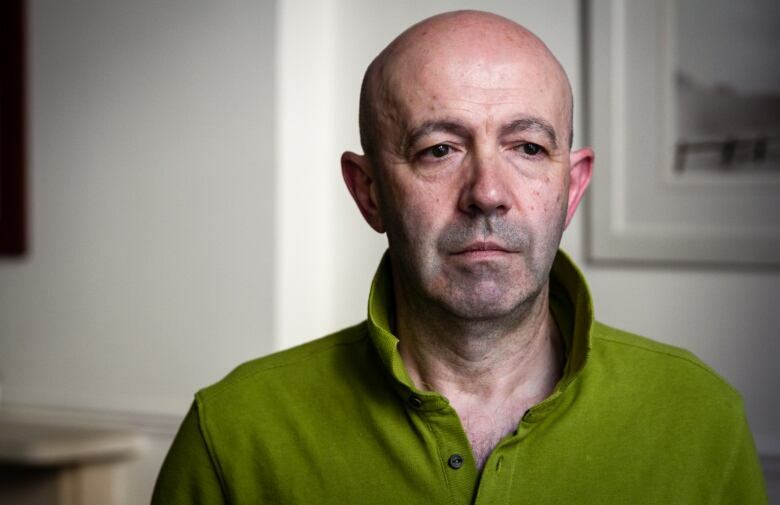 - Antonio Roncolato, the second-last person rescued from Grenfell Tower, reflects on the aftermath of the blaze that killed 72 people one year ago today. Stéphane Forcier heard a boom and then a whistling sound, but when he went outside to investigate all he could see was his cows studying a hole in the pasture. He figured it was a groundhog, but upon closer inspection it turned out to be a five-billion-year-old bit of space debris, and one of the largest meteorites ever found in this country. The Geological Survey of Canada ended purchasing the space rock for $10,000 and it is now part of the national meteorite collection.